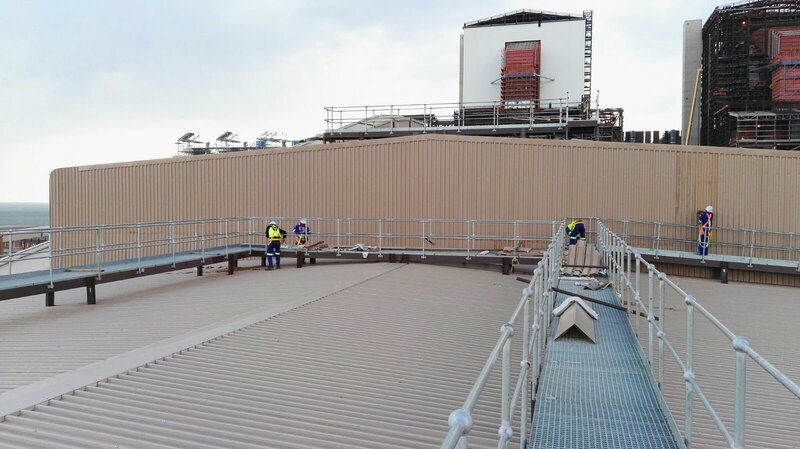 Customer : Sqm of material used: m². 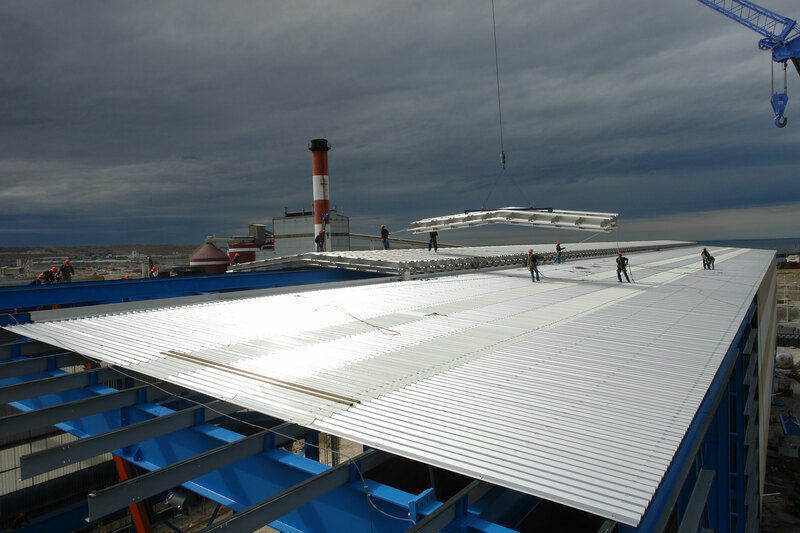 Brief description of project: This project was awarded to RVI and required installation of IBR Profile Roof and Sidewall Sheeting in addition to purpose made Acoustic Cladding of the same profile in order to reduce noise levels from a portion of the plant. 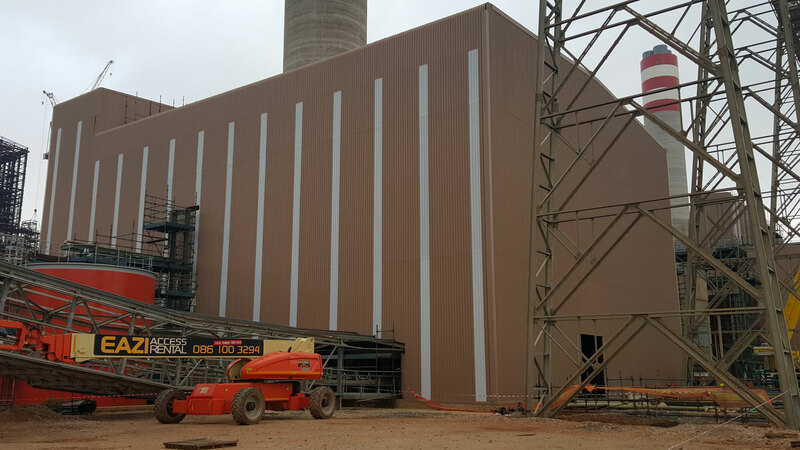 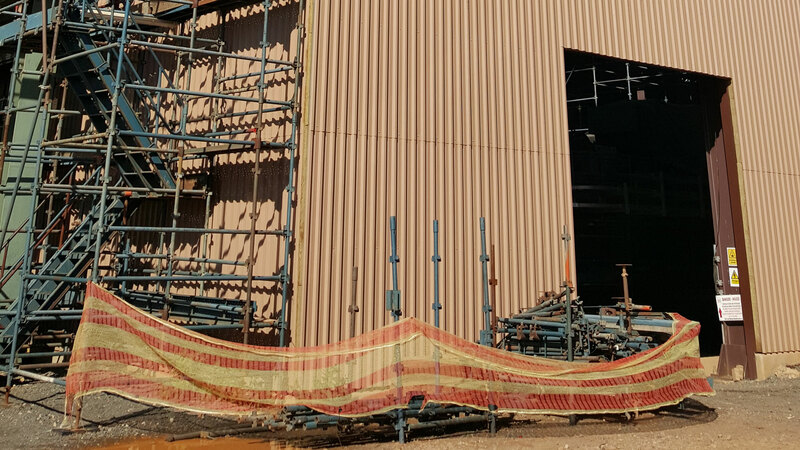 The buildings RVI installed sheeting and acoustic cladding on are an extension to the Power Station Plant and called WFGD Plant (Wet Flue Gas Desulphurization) which is the first of its kind in South Africa. 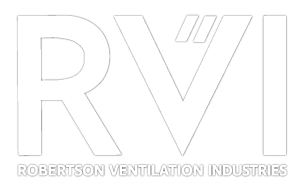 RVI successfully provided the solution to meet the client’s rigorous international requirements and stringent Safety, Health, Environmental and Quality specifications.